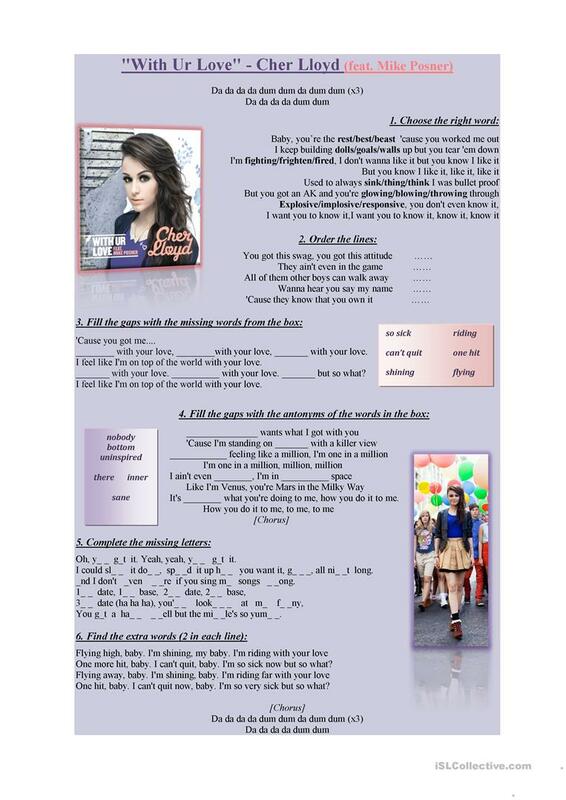 A very nice and song from Cher Lloyd, with an easy to remember chorus. I used the version feat. Mike Posner. There are 6 exercises, choose the right word, order the lines, fill the gaps with the given words, fill the gaps with antonyms, write the missing letters, find the extra words. I hope you like it! This downloadable teaching material is a great resource for high school students, elementary school students and adults at Pre-intermediate (A2), Intermediate (B1) and Upper-intermediate (B2) level. It is excellent for strengthening your students' Listening skills. It is focused on the topic and words of Language functions.